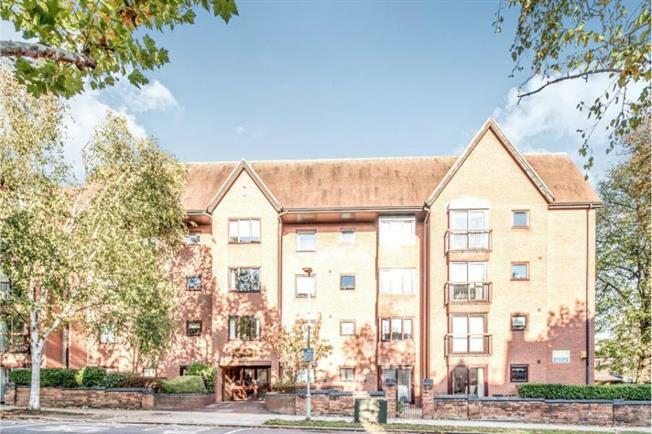 2 Bedroom Flat For Sale in Bedford for Asking Price £130,000. A two bedroom top floor apartment located in the heart of Bedford town centre and available with the added bonus of no upper chain. The property is available to people over the age of 55 and is ideally located within walking distance to the town centre. Benefits include double glazing, electric storage heating and also offers an allocated parking space to the rear of the block. Doors to all accommodation. Storage cupboards. UPVC sliding double glazed door. Double glazed uPVC window facing the side. Storage heater. Range of base level units with work surfaces over. Single sink unit. Double glazed window to the side. Double glazed wood window facing the front. Storage heater. Allocated parking space for one car at rear of block.